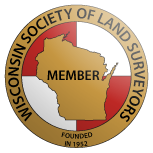 Southwest Surveying & Associates, Inc.
Southwest Surveying & Associates, Inc. is a land surveying firm providing services to South Central and Southeastern Wisconsin. Since you may require the services of a Registered Land Surveyor only once during your lifetime, you may not be fully aware of the various types of surveys, reasons to have a survey performed, and issues that may affect the cost of a survey. We have provided answers and advice to some of these issues here to help you. Please browse our site and contact us if we can be of assistance. We strive to provide high quality services at a reasonable cost. To stay current in the surveying profession we attend seminars, are active on professional committees, and review current publications that effect the surveying profession. Staying current is very important as technology and laws are constantly evolving. We provide complete research, which may include multiple trips to various offices to acquire record data. The location of evidence of the parcel boundary is thoroughly investigated. This includes an analysis of the evidence in relation to adjacent parcels. Our approach is quality before cost; because in the end, quality work is more cost-effective Doing it right the first time will save you a lot more resources and money in the long run. We take the time to make a decision that is based on as much information as is possible, so that the proper conclusion is reached every time. Time and again, we’ve found that our approach is much more cost-effective than making a rash decision that may not be based on all of the facts. 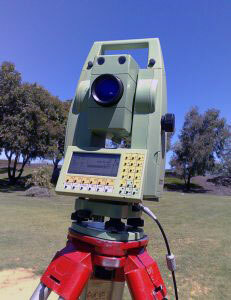 At Southwest Surveying & Associates, Inc., we stress QUALITY in everything we do. We take the time to perform a survey thoroughly and properly the first time, knowing that in the end, our quality work will ultimately save you valuable resources.